About 40,000 Americans are killed in motor vehicle crashes each year, hundreds of thousands more injured, with a disproportionate share of those in secondary crashes. 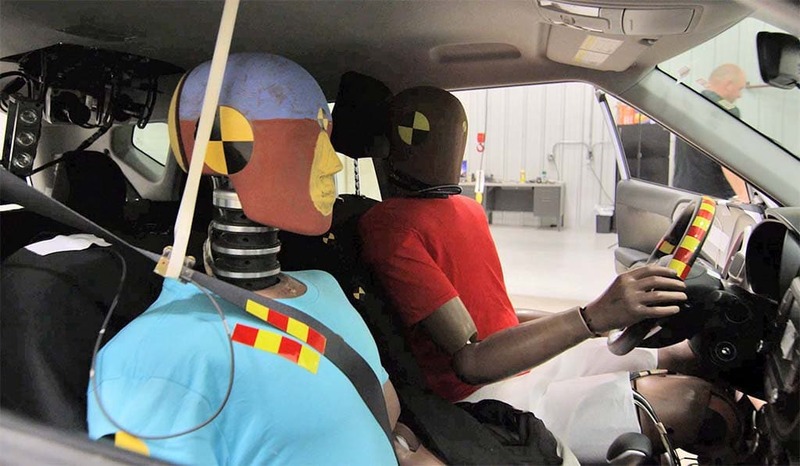 Data on 56,000 vehicle accidents between 2000 and 2012 gathered by the National Automotive Sampling System Crashworthiness Data System showed 30% were involved in multi-collisions. 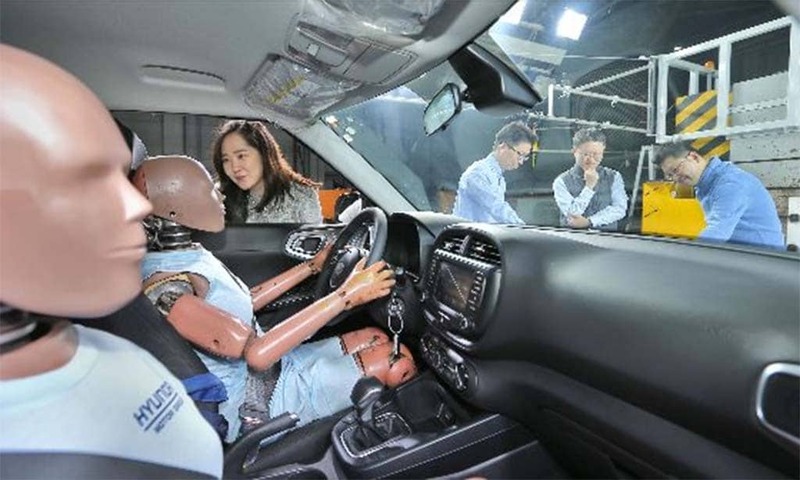 Engineers prep a test vehicle with Hyundai's new post-collision airbags. These typically occur when a vehicle strikes another vehicle or obstacle like a tree or guardrail before ping-ponging into another object. The NASS-CDS study found the most common multi-collision crash occurs when a vehicle crosses the center lane, followed by incidents at highway tollgates and median strip collisions. 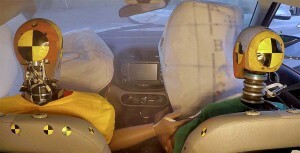 One problem is that airbags may not stay inflated long enough to prove effective in a secondary crash. Another issue is that the original crash may toss vehicle occupants out of position, so they aren’t protected by airbags when the secondary crash occurs. The Hyundai system is designed to measure what happens to a vehicle and its occupants after the initial crash and then respond more quickly and accurately when the secondary crash occurs. These crash test dummies are ready to put Hyundai's new post-collision airbags to the test. Hyundai Motor Group isn’t the only automaker trying to address the multi-collision issue. Several years ago, Volkswagen added new technology designed to apply a vehicle’s brakes after an initial impact, research showing that drivers often release the brakes following a crash. That approach is design to stop a vehicle in its tracks to prevent a secondary impact. That approach is now being adopted by other automakers, including Ford which will use it on the new version of the Explorer SUV unveiled at the North American International Auto Show in Detroit this month. This entry was posted on Tuesday, January 22nd, 2019 at and is filed under Asia Pacific, Automakers, Automobiles, Business, China, Europe, Executives, Hyundai, Kia, Markets, NAFTA, Personalities, Safety, Safety, South America, Technology, Technology, U.S./North America. You can follow any responses to this entry through the RSS 2.0 feed. Both comments and pings are currently closed.